We also supply OEM service, and we are looking for agents in these areas. Wherever you are from, we are looking forward to explore new market with you. Meanwhile, the machine should be under normal operation according to Operation Manual. Also we have been in business with GSK ,Siemens ,Faunc and other famous companies within 50 countries all over the world. Whether you need the standard or the customerised products , please contact us directly . Our professional and experienced engineers and after sale service team will meet your needs. 2. S li ding box has a fast moving structure, single handle visualization operation;Spindle and reversing shift to the brake and the user can choose the hydraulic control or manual control machinery. 3 . T he machine tool rest with single motor turning cylinder, you can also use the tool rest and longitudinal feed turning cone length. 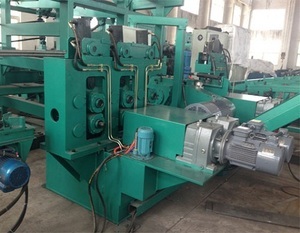 The machine it is suitable for large and medium-sized of steel and non-ferrous metal parts processing, can be cylindrical turning, inner hole, face cutting, drilling, boring and nesting. 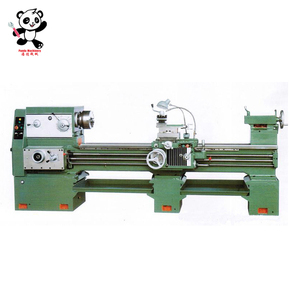 Yiwu Jiuheng Electromechanical Co., Ltd.
mechanical tools names general lathe CW6132/CW6136 common manual lathe machine new product CW6132 common lathe , common lathe machine form haishu Item Technical data CW6132 CW6136 Maximum turning diameter over bed 360mm 400 mm Maximum turning diameter over turrent 180mm 200 mm Maximum Distance between centers 750 mm, 1000mm Travel on the turre 120mm Transverse slide travel 205 mm Bed width 290 mm Spindle head C-6 the spindle taper M6 Spindle bore 52 mm Spindle speed 12 * 30-1600 rpm Screw pitch / Pitch thread / modulus thread 6mm/160DP-3 1/2DP(30 ) / 0.25-10mm(25) Inch thread range / metric thread range 80nt/in-1 3/4nt/in(35 ) 0.45-20mm(30) Longitudinal feed range 0.039-1.1mm Infeed range 0.018-0.55mm Tailstock sleeve diameter 52 mm Tailstock quill strok 100 mm Tailstock taper M4 Main motor power 3 kw 4kw Cooling motor power 0.11kw Dimensions (L &times; W &times; H) 2100 &times; 1100 &times; 1600mm Machine weight 1300 kg GUARANTEE AND AFTER-SALE SERVICES: 1.one year guarantee for whole machine except of CNC system, which guarantee is three years 2.24-hours technical support by E-mail or telephone 3.User-friendly English software or Russian or Spanish, Users manuals and Detailed Videos/CD 4.Provide extra accessories for the machine 5.Also provide service of make program according to your drawings 6.Customized or special design is If you are interested in our products, welcome to leave a message or send the inquiry to understand the details of machine. Dalian Fullton Machinery Co., Ltd.
Taizhou Taisen Mechanical Equipment Co., Ltd.
Q: What is your machine warranty9 A: 12 months since the day we send out the machine (except artificial damaging, improper operation & disasters). Within the warranty period we provide machinery parts for free (except quick wear parts). Q: What are your terms of payment9 A: 30% T/T in advance, balance before shipment. swing diameter over carriage 610mm max. swing diameter over carriage 850mm Max. swing diameter over carriage 850mm Max. 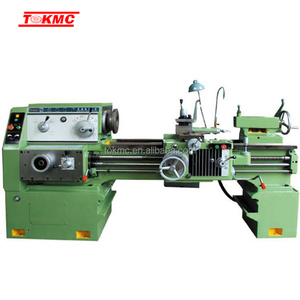 Name of cheap mini metal lathe machine BT180V 7x14"
The main features/Advantage is as below: 1.Vertical and horizontal feed adopts interlocking mechanism and considerable safety design. 2. The spinlde bore is supported with precision roller bearings 3.Removable gap is provided for larger diameter work and easy operating gear box can be various feeds and thread cutting. 5.Easy operating speed change levers 6.dopting full gear drive, double rod operation, no need to replace the hanging wheel can meet the needs of a variety of different kinds of knife and a variety of pitch. 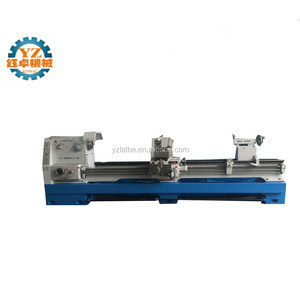 Alibaba.com offers 814 name of lathe machine products. About 48% of these are machining. 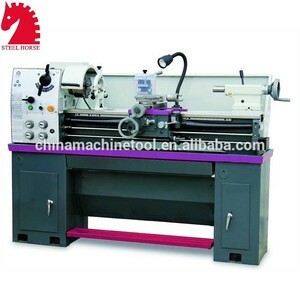 A wide variety of name of lathe machine options are available to you, such as free samples, paid samples. 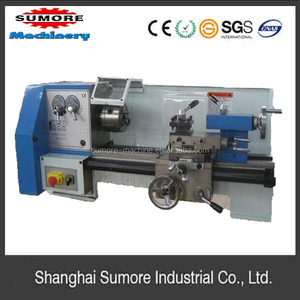 There are 735 name of lathe machine suppliers, mainly located in Asia. The top supplying countries are China (Mainland), Taiwan, and Japan, which supply 99%, 1%, and 1% of name of lathe machine respectively. 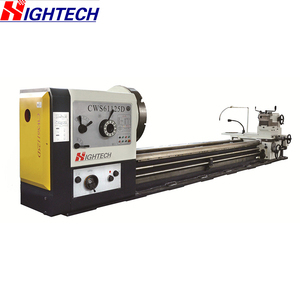 Name of lathe machine products are most popular in North America, Western Europe, and Domestic Market. You can ensure product safety by selecting from certified suppliers, including 413 with ISO9001, 41 with ISO/TS16949, and 35 with Other certification.